For well over half a century, yachtsmen have depended on their Rolex Yacht Master II watches. Whether aboard ship or below the waves, the Yacht Master II fulfills the need for a watch that is both dependable and durable. Superlatives like distinctive, luxurious, and sophisticated also apply to these superb watches. These sporty and stylish timepieces epitomize the elegance of yachting, yet they can withstand the sport's harshest conditions. Rigorous testing ensures each watch meets the Rolex standard for durability, functionality, and reliability. However, only the wearer can testify to its comfort and understated elegance. Exquisite craftsmanship is the hallmark of all Rolex watches, and nowhere is this more apparent than in the Yacht Master II collection. The patented Ring Command bezel directly interacts with the movement for improved functionality. The programmable countdown mechanical chronograph can be quickly and easily restarted, if necessary. The Yacht Master II collection features an officially certified chronograph for race-worthy accuracy. There is also a start/stop lock to prevent accidental readjustments. This could be crucial during a race start! Yacht Master II watches look and feel like the quality instrument it is. Precise, reliable, and yet elegant, are apt descriptions of this maritime-inspired wristwatch. This watch was precision engineered to meet the specific demands of regattas, and regatta skippers depend on the easy-to-read dial and accessible functions. Despite its many intelligent features, the Yacht Master II is water-resistant and functional on dives as deep as 100 meters. The comfortable watch band features a secure oysterlock clasp. Why buy your Rolex online from Watchshopping.com? Investing in a Rolex watch is an investment in your future and in that of your heirs. That kind of commitment is reserved only for those few brands whose products have proven they can stand the test of time. Rolex is one of those brands. 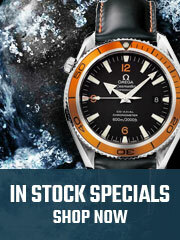 When looking for the perfect Rolex, you can feel confident while shopping at WatchShopping.com. Each Rolex watch we sell at WatchShopping.com is guaranteed to be authentic and from authorized sources. Your new watch will include a new box, any tags or spare parts, and an original manufacturer's warranty card. Our carefully selected used Rolex watches have all passed our rigorous inspection process. They are also guaranteed to be in proper working order. Our Rolex Yacht Master II for sale start at under $20,000. 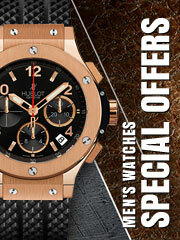 Buy yours today from WatchShopping.com and enjoy free shipping.